Department of Botany & Forestry, Vidyasagar University, Midnapore-721102, West Bengal, INDIA. Molecular and Applied Mycology and Plant Pathology Laboratory, Department of Botany, University of Calcutta, 35, Ballygunge Circular Road, Kolkata, 700019, West Bengal, INDIA. Edible mushrooms contain unique flavours and textures. They have high nutritional and medicinal values and have been consumed worldwide. Astraeus hygrometricus (Pers.) Morg. 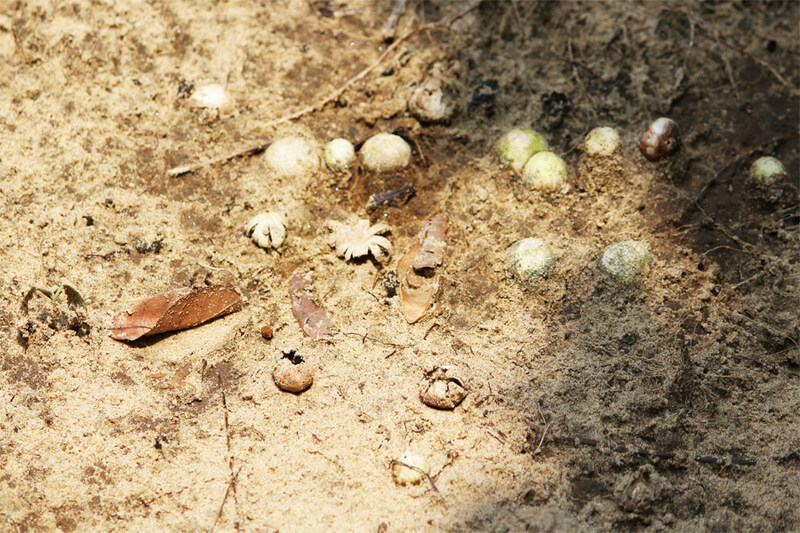 a wild ectomycorrhizal mushroom recognized as a food by the local people in South-East Asia as well as in Bihar, Jharkhand, South west India and South-Western region of West Bengal. However, it is considerably unknown to the communities in other parts of the world and it remains underutilized so far. Recent investigations from our laboratory have manifested the potential role of this mushroom in human health. Basidiocarps of A. hygrometricus are rich in proteins, carbohydrates, minerals, crude fibre and essential amino acids with lower concentration of fat. Experiments on animal models reveal the hepatoprotective, cardioprotective, anti-inflammatory, anticancer and hypoglycaemic efficacy of the mushroom. Additionally, researchers have found this taxon to contain many bioactive compounds shown to be responsible for antitumor, anti-leishmanial, anticandidal, antioxidant and immunomodulatory activity. The present review, summarized the scattered literature on A. hygrometricus with an emphasis on its nutritional and health promoting aspects. Astraeus hygrometricus, an ectomycorrhizal edible mushroom, commonly consumed by forest dwellers and ethnic people. Basidiocarp of this macrofungi contains considerable amount of carbohydrate, protein, fibre, minerals, vitamins, essential amino acids and very minute concentration of fat. Astraeus hygrometricus have wide range of medicinal value such as hepatoprotective, cardioprotective, anti-inflammatory, hypoglycaemic, antitumor, anti-leishmanial, anticandidal, antioxidant and immunomodulatory activity which has been highlighted to emphasize its importance to the modern scientific community. Astraeus hygrometricus may emerge as a suitable source for application in nutraceutical, functional food and pharmaceutical industries. Mushrooms well recognized for their nutritional and culinary values1 are historically familiar as essential part of human health and nutrition as a substitute to plant and animal-derived products.2 Traditionally they have been used worldwide as resources of food and medicines3 and have huge potentiality in coming days to be used as regular therapeutic food.4 Edible mushrooms are low calorie-low fat food supplement with generous amount of proteins, carbohydrates, vitamins, minerals amino acids5 and dietary fibre.6 Mushroom usually possess antibacterial, antifungal, antiviral, antiparasitic, antioxidative, anti-inflammatory, antiproliferative, anticancer, anti-HIV, hypo-cholesterolemic, antidiabetic and anticoagulant activity.7,8 This review focuses on a particular mushroom, Astraeus hygrometricus, the incorporation of which in regular diet will be beneficial for human health and may be exploited as a good source of medicinal product. Astraeus hygrometricus in wild condition. Presently vast scientific data on the nutritive and medicinal attributes of this mushroom have been offered and each of the aspects will be detailed in the following sections. Astraeus hygrometricus being a potential mushroom with edibility and therapeutic value has not been studied so much. So, this review proposes to provide a comprehensive information on the macrofungus as a valuable health promoting medicinal food so that it serves as a ready‑to‑use material for further research on this mushroom. Since antiquity man has been stalking for wild mushrooms as a source of food due to their chemical composition which is quite appealing from the nutrition point of view. Numerous species of wild growing mushrooms are extensively preferred to consume as a delicacy over cultivated fungi in many countries of Asia21 and central and eastern Europe.22 But credible estimation of the nutritive value of the wild growing mushrooms has so far been restricted due to scattered knowledge of their composition and confined report on the availability of their constituents.22 The role of A. hygrometricus as food, is considered to be of immense value as local people consume this mushroom with a belief that it cures several age-related disorders.23 Nutritional data accumulated here provide a chemical basis for the health benefits of consuming A. hygrometricus. Macronutrients and energy content of Astraeus hygrometricuus. Food energy is calculated using the equation: FE = (% CPX4) + (% lipids X 9) + (% COH X4). The fat content in mushroom found to be too low as compared to protein and carbohydrate. The accumulated data on crude fat content of A. hygrometricus is highly comparable although values vary considerably from 1.28-4.4%25-27,28 indicating low fat content. Fresh mushrooms usually consist of both soluble and insoluble fibre. Insoluble fibre found in fresh mushrooms promotes regularity, good bowel health, slow digestion and adds staying power to foods whereas soluble fibre lower low density lipoprotein cholesterol level and combat cardiovascular disease.27 Till date, there are only three reports regarding fibre content of A. hygrometricus ranging from 0.15 to 12.3%25,27,28 Table 1. Thus, A. hygrometricus may be treated as fibre rich high energy-low fat food which help to lose heavy weight, maintain healthy body and prevent different types of common diseases. The fruiting bodies of mushroom is identified as a best source of vitamins as well as higher level of well assimilated mineral element. Researchers observed that mineral content of wild edible mushrooms were higher than the cultivated ones.32,34 In A. hygrometricus, two major vitamins i.e., water soluble vitamins, ascorbic acid and thiamine were found to be present in both inner and outer parts in the quantity of 3.26 (outer) and 0.26 (inner) mg/100g and 5.23 (outer) and 3.54 (inner) mg/100g respectively25 and also possess rich source of various minerals that might play important roles in human life. Detail information of mineral content of the edible ectomycorrhizal fungi with associated references are indicated in Table 2. Content of selected macro and micro minerals present in Astraeus hygrometricus. Mushroom own many therapeutic benefits, as they embrace several biologically active compounds. In present day, the secondary metabolites or bioactive compounds isolated from mushrooms have received huge attention for discovering new drugs or lead compounds. 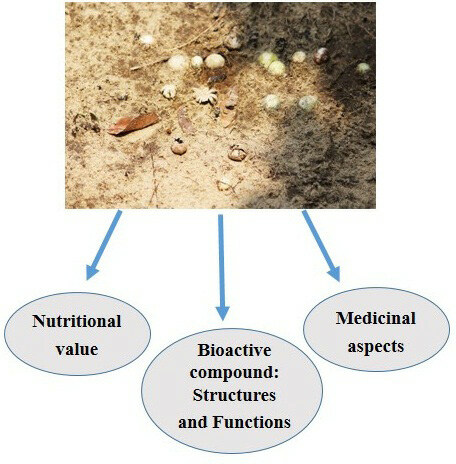 The bioactive components from mushrooms are turning into attractive sources of natural antioxidative, antitumor, antiviral, antimicrobial, and immunomodulatory agents.35 In recent times different phytochemicals from A. hygrometricus were documented which includes various high and low molecular weight compounds. Most of these phytochemicals were screened for their medicinal possibilities which would be discussed in later sections of this review. 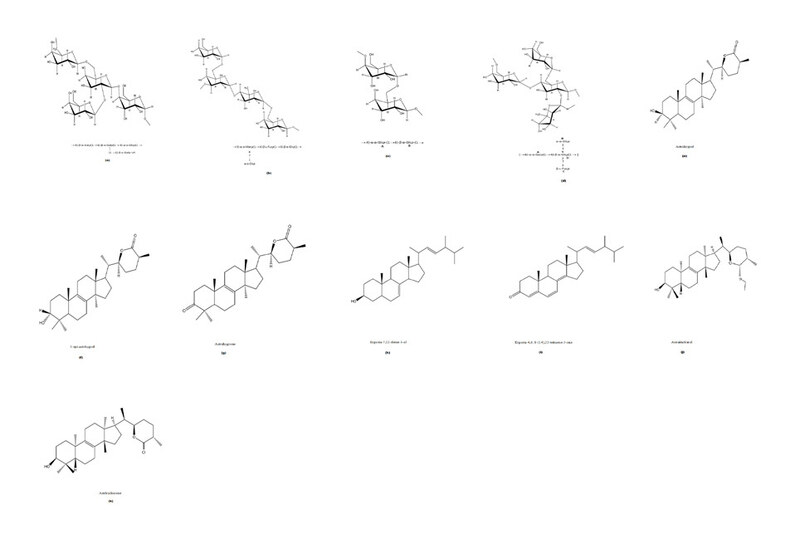 Chemical structures of some phytochemicals isolated from Astraeus hygrometricus. In traditional ancient therapies, medicinal mushrooms have a significant history of its uses.46 In different countries, modern clinical practices are continuing to be rely on mushroom-derived preparations.47 Astraeus hygrometricus is usually appreciated as herbal medicine in India and China.48 Powder form of this mushroom found useful for healing burns, wounds and used as haemastatic agent in Chinese folk medicine.45 Apart from nutritional data, scientific evidences acquired from the combination of in vitro and in vivo study of A. hygrometricus has provided a basis for its health-promoting effects. In this section, selected biological activities of A. hygrometricus has been discussed in relation to its profess medicinal benefits. Phenolic rich methanolic extract of this mushroom have rich total antioxidant activity (IC50 value of 9.3 ± 0.3 μg/ml).58 The phenolic fraction of plants is usually interlinked to their antioxidant and antimicrobial activity. Singh (2010) quantified several phenolic compounds and found this mushroom to be rich in Protocatechuic acid, Ferulic acid, Salicylic acid, Anthralinic acid and Syringic acid. Total phenolic content was also determined spectrometrically as 1.4% in inner and outer part of the mushroom repectively.25 As A. hygrometricus possessed with phenolic compounds it seems to be a potential source of useful biological drugs. In another study, a comparative method of antioxidant capacity was performed with raw and cooked fruit bodies of A. hygrometricus which indicated that antioxidant activity significantly decreased on boiling.59 Similar observations were found in South-west India where A. hygrometricus is a traditional delicacy. They also investigated that total antioxidant activity decreased upto one-third in cooked mushroom.60 After knowing the fact that cooking process reduced the antioxidant activity, it is recommended to consume boiled mushroom tissue as well as their broth to regain some antioxidant activity and retain its nutritive value. Mallick et al (2014) first worked with different extracts of A. hygrometricus to understand its anti-leishmanial activites where they had demonstrated that terpenoid fraction (AHFa) significantly seize the proliferation of L. donovani promastigotes in vitro by inducing apoptosis and water soluble polysaccharide fraction (AHFb) inhibited intracellular amastigotes in vitro by considerably releasing the essential anti-leishmanial molecule, NO and pro inflammatory cytokine IL-12.68 Previously Lai et al (2012) made a preliminary study using an active compound Astrakurkurone which have exhibited a significant promastigocidal activity against Leishmania donovani promastigotes.45 The mechanism behind the promastigocidal activity of astrakurkurone was unveiled by Mallick et al (2015) where the proliferation of L. donovani promastigotes were inhibited by astrakurkurone by selective ROS production leading to mitochondrial dysfunction as well as depleting reduced glutathione. Astrakurkurone seen to be quite effective against clinically important intracellular amastigotes, with significant low IC50 of 2.5 μg/ml.69 Further extension of their study demonstrated that astrakurkurone boost the immune efficiency of host cells by generating protective cytokines, interleukin 17 and γ-interferon leading to parasite clearance both in vitro and in vivo. Above that, astrakurkurone was found safe for immunosuppressive patients with visceral leishmaniasis.70 Thus, detailed study against promastigotes opened an evident possibility for astrakurkurone as a potential source of non-toxic anti-leishmanial molecule. Study showed a remarkable hypoglycemic action of ethanolic extract produced from A. hygrometricus on alloxan-induced diabetic mice. Orally administrated ethanolic extract at a dose of 500 mg/kg of body weight decreased the blood glucose levels in both acute and subacute study. The dose seemed to improve the tolerance for glucose signifying augmented peripheral glucose utilization in the animal model at the time of the oral glucose tolerance test.74 Moreover, it was found that mushrooms with higher amount of mannitol are considered as a useful food for diabetic patient and A. hygrometricus found to contain higher amount of mannitol.28 Hence A. hygrometricus when taken in adequate quantities can serve as medicinal food for diabetic patient. In view of Biswas et al (2011) ethanolic extract of A. hygrometricus can inhibit platelet aggregation, prostaglandin synthesis and stimulate NO synthesis in human blood platelets thereby reducing the incidence of myocardial infraction, cardiac hypertrophy and vascular death among patients with cardiovascular ailment.81 This suggest that ethanolic extract of A. hygrometricus might have a role in preventing the development and progression of coronary artery disease as well as might act as fresh remedial approach against cardiac hypertrophy. Astraeus hygrometricus demonstrated strong chemopreventive activity as explained by Biswas et al (2012). Ethanolic extract containing chemopreventive agents strongly inhibited cancer by initiating cell cycle de-regulation and apoptosis on Ehrlich’s ascites carcinoma cells grown in animal model. The apoptogenic action of the extract might be expressed as a result of the occurrence of antioxidant phenolic and flavonoid compounds.98 Furthermore, the same ethanolic extract of A. hygrometricus was found as a powerful activator of NOS enzyme23 and it had been formerly reported that nitric oxide synthase (NOS) activation had an inhibitory effect on various types of cancers including Ehrlich’s ascites carcinoma.99,100 This might be an added value on the inhibition of Ehrlich’s ascites carcinoma. Although limited number of investigations were carried on medicinal and nutritional aspects of A. hygrometricus. But from this literature review, it’s evident that A. hygrometricus have tremendous potentiality in preventing many human ailments. Many endeavours are needed to explore this mushroom, as various bioactive compounds have been identified from this macrofungus but only a few of them are known with their biological activities, so further in-depth study should be carried on the mechanism of action as data in this regard is not satisfactory. Additional work should be directed with this indigenous mushroom to explore the possibility of its utilization or domestication for further processing and their utilization in nutraceutical preparations. The present work does not include any funder to acknowledge. Biswas G. Studies on the medicinal properties of Astraeus hygrometricus (Pers) Morg. Thesis, Calcutta University, Calcutta, India. 2012. 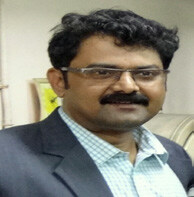 Gunjan Biswas, Ph.D.,Assistant Professor, Department of Botany & Forestry, Vidyasagar University, Midnapore, West Bengal, India. Sudeshna Nandi, Research Scholar of Molecular and Applied Mycology and Plant Pathology Laboratory, Department of Botany, University of Calcutta, Kolkata, India. 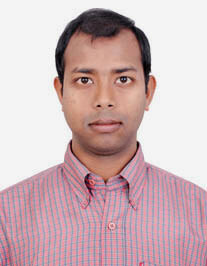 Debashis Kuila, Research Scholar, Department of Botany & Forestry, Vidyasagar University, Midnapore, West Bengal, India. Krishnendu Acharya, M.Sc, M.Tech, Ph.D., Professor, Molecular and Applied Mycology and Plant Pathology Laboratory, Department of Botany, University of Calcutta, Kolkata, India.